Hemigrapsus oregonensis belongs to the class Malacostraca, and some features for identification include a rectangular outer shell typically found to be in a greyish green colour, a wide distance between the eyes, as well as hairy legs. 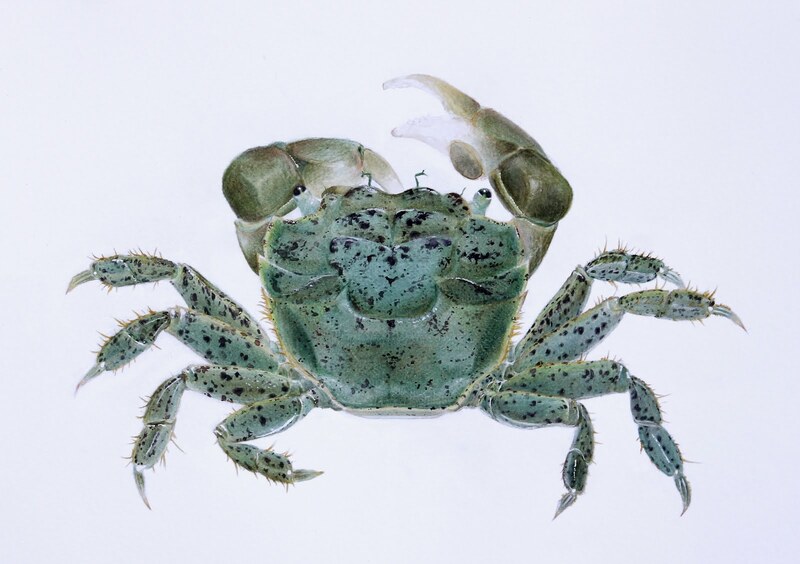 Dark spots on the crustacean can be seen distributed on the dorsal side of the body, including its outer shell and legs, and the amount of spots may vary with the individual crab. Commonly seen along the west coast of North America, Hemigrapsus oregonensis is an intertidal organism that feeds on algae and meat, and shelters under rocks to protect themselves from predators.